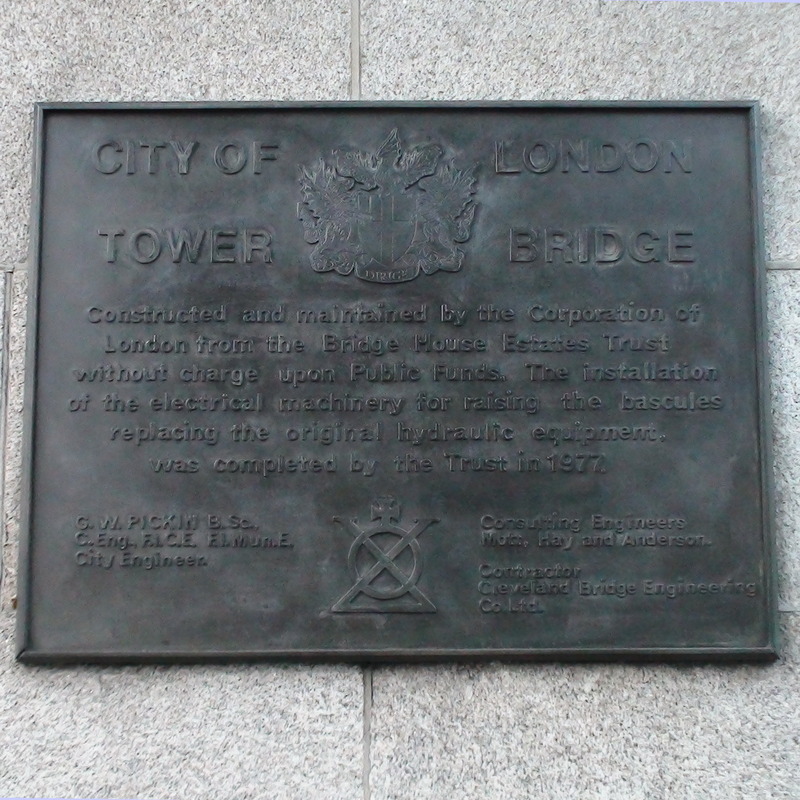 Constructed and maintained by the Corporation of London from the Bridge House Estates Trust without charge upon public funds. The installation of the electrical machinery for raising the bascules replacing the original hydraulic equipment was completed by the Trust in 1977. These plaques are attached to the north-west tower and also the south-east tower, all duplicated except for "opened to the public" which is only on the NW tower which forms the entrance to the exhibition. 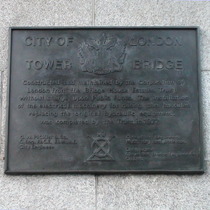 The SE tower also has the intriguing bronze plaque "The Bridge Master's Dining Room". This is part of a self-contained suite of rooms which once served as the Bridge Master’s home and is now, of course, available for hire. Note how the spelling of 'honourable' changes between the 1894 and 1994 plaques. We don't normally retain letters after the surname but we have for the people on these plaques - they seemed so proud of their qualifications. City of London Engineer in 1977 and 1982.